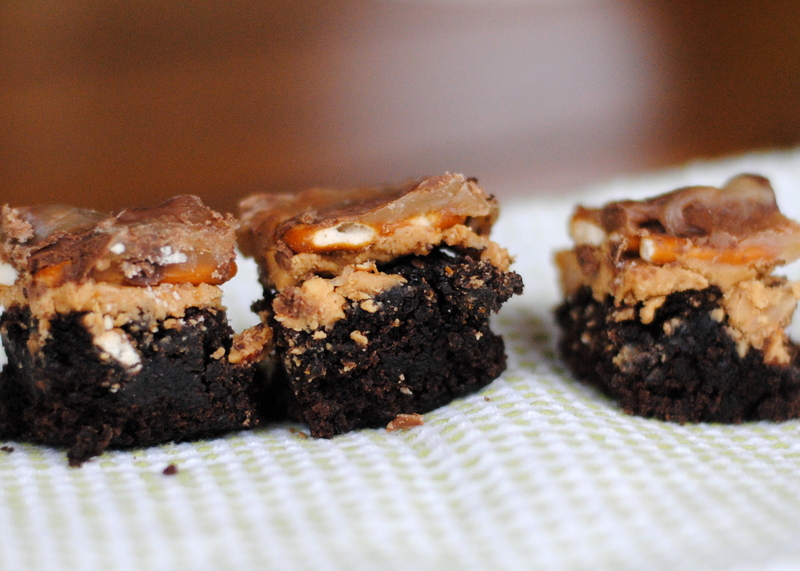 These brownies are an imitation of the wonderful candy bar Take 5. I’m pretty sure they will be well received wherever they go. I recently made them for a baby shower that I hosted for my dear friend Anne. The ladies at that shower definitely had good things to say! However, Mr. Chaos wasn’t that impressed with them. I was worried that maybe I had lost my taste buds, but I double checked and no, everyone agreed that these brownies are divine. So now I’m just worried that I’m married to a slightly insane person. 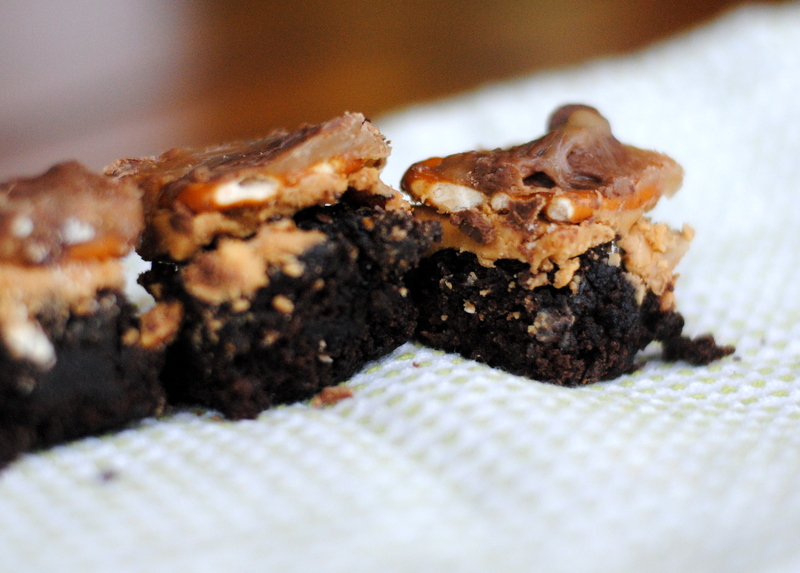 Give these a try, they start with a boxed mix, so they aren’t too complicated. The hardest part is boiling the sugar to make the caramel. But any work that produces caramel is totally worth it, am I right? Bake brownies in a 9×13 pan as directed by the box. Allow to cool completely. 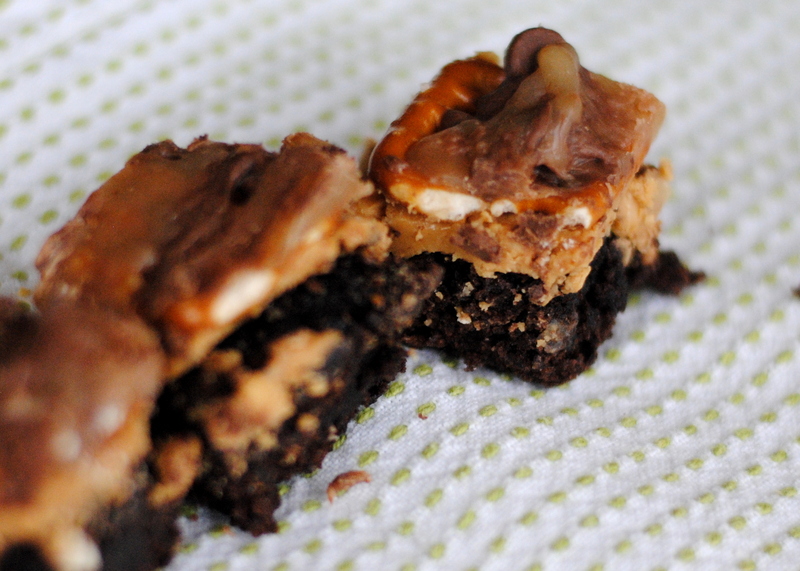 Combine crunchy peanut butter with powdered sugar, beat until well combined and then spread over brownies. 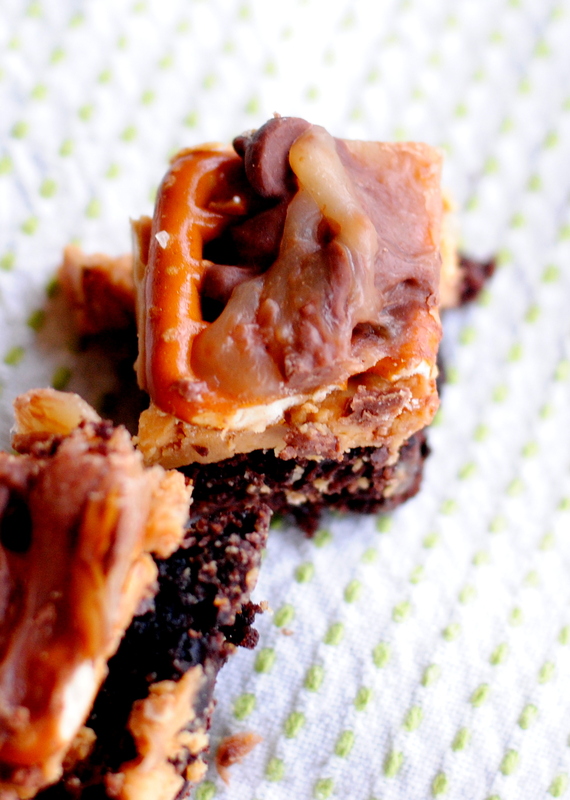 Arrange pretzels over peanut butter mixture in a single layer and then sprinkle with milk chocolate chips. Set aside. Prepare caramel topping: in a medium saucepan over medium heat combine butter, brown sugar, corn syrup and cream. Bring to a boil and stir, making sure all sugar is dissolved. Stir a minute or two more until caramel is thick and bubbling. Remove from heat and stir in vanilla, then pour evenly over the milk chocolate chips. Swirl caramel and chocolate chips with a knife. Refrigerate for about an hour until set. They can be stored on the counter after that. They are hard to cut and still look pretty, but that’s ok! I didn’t try cutting them before they set, not sure if that might work or not.